Since this image was so popular on facebook, I did a cleaned-up version of it. 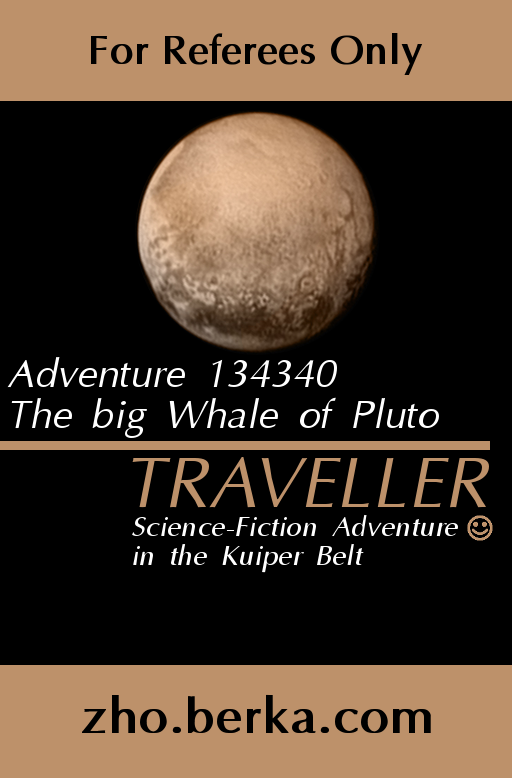 The original was created using the LBB Front-Cover Rendering Machine with an image of Pluto manually added. Zero-G Training with Kate Upton. Zero-G Combat is a skill from CT LBB-4, so I thought this was relevant. This applies to all games where you want to generate a random number to describe something. In many cases you cannot just use a D10 since Benford’s law says that the lower numbers will have a higher probability. This law is usually true when applied to things that grow exponentially. Like the population modifier digit (the P in the PBG-number) in the extended UWP for Traveller. Why is it so? Here is an explanation! A shorter explanation is that to change the first digit from 1 to 2, the population needs to increase 100%. To change the first digit from 8 to 9 the population needs to increase 12%. This means that the population digit will stay longer at lower values and therefore the lower values will be more likely. Something else that is interesting for Traveller, Benford’s law can also be applied on asteroid sizes, since these has been built up of smaller objects over time. If you use a D10 to get a first digit for something that should behave according to Benford’s law, you will create a statistical anomaly. Doing it for one, or a few planets doesn’t matter, but if you do it for the P in the PBG-number of a subsector or something larger the result you get will be very unlikely. 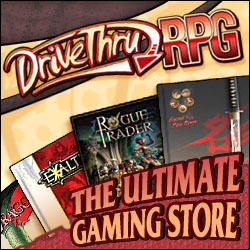 So stop using that D10 now! Write a simple program on your calculator or computer that calculates the first digit according to Benford’s law! For those who still (for some reason) needs to use dice, here is a table with a distribution that is close enough to the Benford distribution using 2D6, like you should do in Traveller. 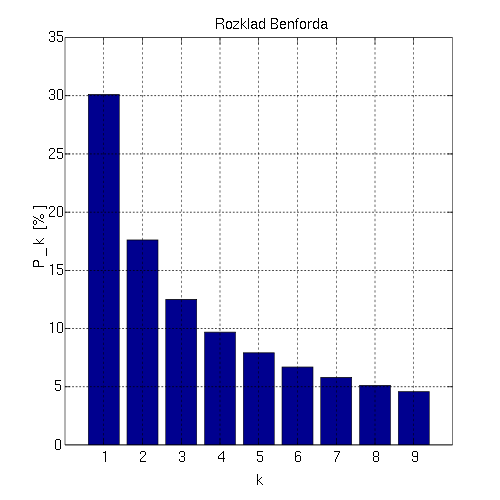 Just for fun, test Benford’s law for a number of datasets. It works! Today it was announced that Planetary Resources will be mining asteroids in the near future. This is very interesting. Phil Plait agrees on his Bad Astronomy Blog. At Wikipedia, there is an entry about asteroid mining. Planetary Resources will go after the Near-Earth objects, and take small steps and learn along the way. That seems like a nice business plan (as long as you can wait for any results and profits). 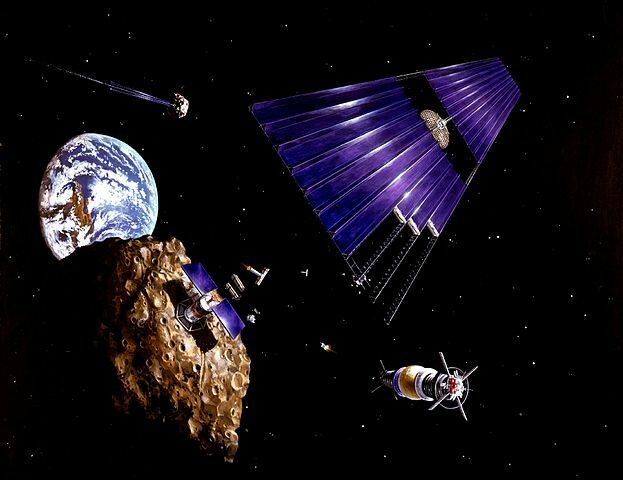 Asteroid mining, Image from wikimedia. Public Domain. 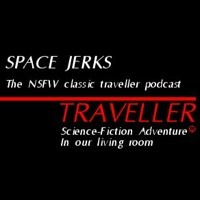 GDW has thought about asteroid mining even longer than the BeRKA corporation. In the “Consolidated Classic Traveller Reprint Errata” you can find the old “Asteroid Mining flowchart” from JTAS Issue 3. 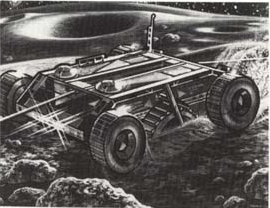 In the TTA books, there was also some cool images of asteroid mining space ships. Have a look at the PC1 191 Gourmet or the AC3 Stag Beetle. The PC1 191 Gourmet has inspired asteroid mining in MTU. That ship is so much cooler than a Scout Ship with a mining laser. 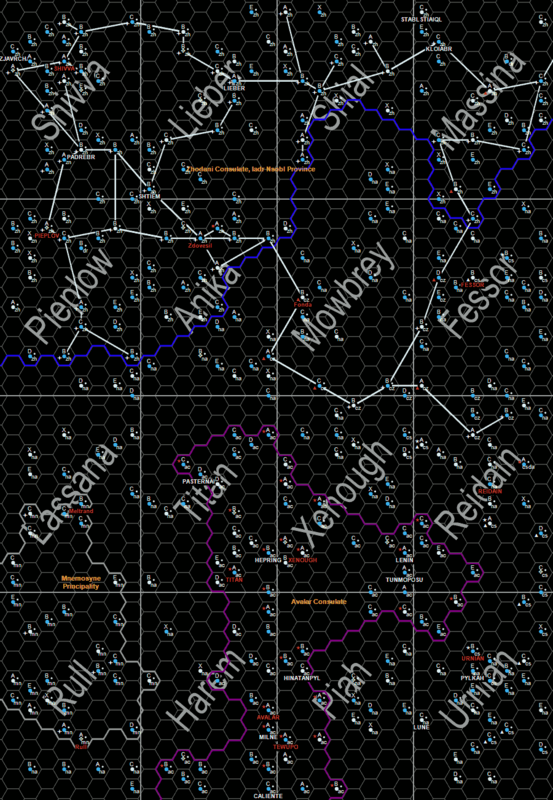 There are also some games about Asteroid Mining. 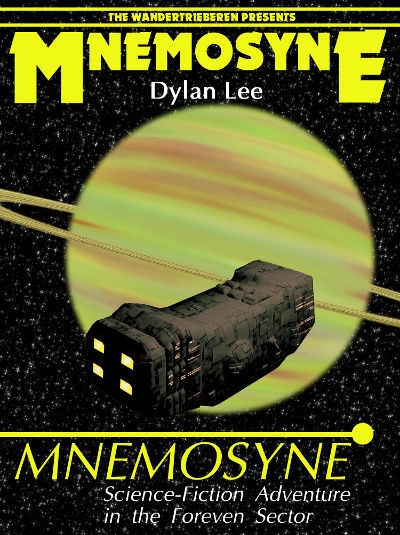 From GDW, there is Belter that is about asteroid mining in the solar system. A cheaper alternative is Asteroids from Radioactive Press, and a fun alternative is Asteroid Racers from Avalon Game company. You can play the classic Asteroids arcade game at the Atari website. What is your High-Score? 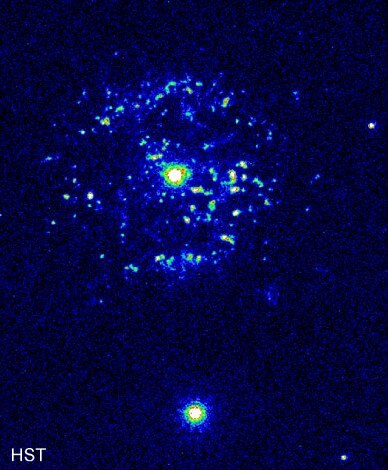 T Pyxidis is a star that we have heard about in the news recently. 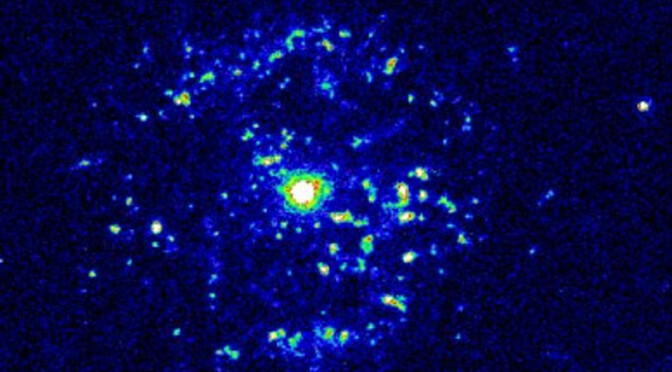 The scientist Dr Sion claims that it will go supernova quite soon and threaten the earth. Other scientists say that this is not the case. Image from NASA. Public Domain. Only referees should read on.